Hexal Tactic is a turn-based strategy game that aims to provide RTS-style strategy, while remaining mechanically simple behind the turn-based playstyle. As I was working by myself on this, I kept the design elements simple in terms of aesthetics. I designed the game around hexagon pieces for the most part in order to make the art side of the game a lot easier to do alone. I lost a chunk of the game from a hard drive crash... Luckily I had a lot of it on a Git repository. I also experimented with custom inspectors during this project. I created a custom editor window that allowed me to customize the game board in the scene view. Before this, I would have had to do everything manually in the code. This allows for much more design flexibility in terms of iterating certain game elements. 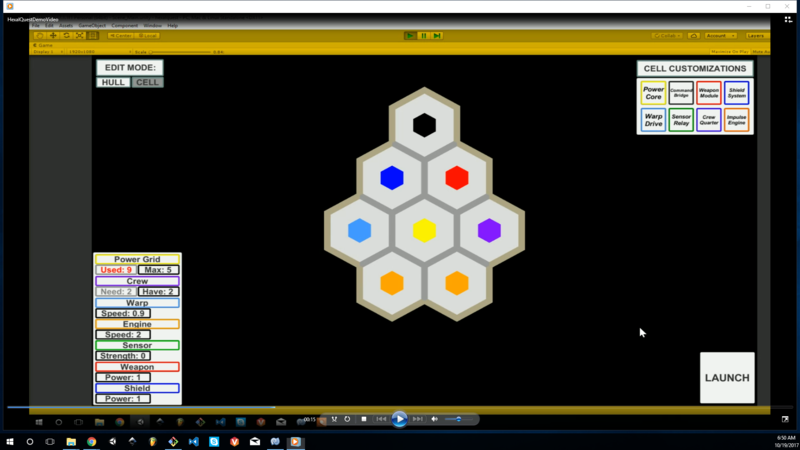 All that being said, Hexal Tactic was a great game for building my development skills.